Video Games, Board Games, Card Games. Chelsea Clemmons Moye grew up and lives in Bay Minette, Alabama, surrounded by her husband, the two wonderful families she's blessed to be a part of, friends, and pets. She graduated from Baldwin County High School in 2007. She has an AS in General Studies from Faulkner State Community College, and a BS in English from Troy University. She minored in creative writing, and hopes to be a successful novelist someday. She is currently training to be a Medical Transcription Editor. Her work has been featured in Noir Nation No. 3 and Flash Fiction Magazine. You can read her short story, "Marlene," here. 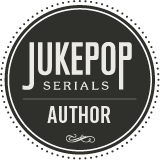 She is serially publishing a young adult fantasy novel titled Frost on JukePop Serials. 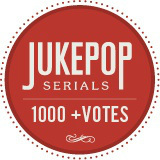 Clemmons is also serially publishing a new adult comedy/mystery titled Murphy's Law of the Jungle on JukePop Serials.